Dr Joglekar is a Private Consultant Child and Adolescent Psychiatrist in London with over 25 years’ experience in mental health. He offers Independent Assessment and Treatment of ADHD, Anxiety, Depression, Psychosis and Eating Disorders. Treatment includes pragmatic mix of medication and psychological approaches as appropriate. Dr. Joglekar is a qualified doctor who specialises in Child & Adolescent Psychiatry / Mental Health. He offers his services in the independent health sector through private practice located at BMI Syon Clinic, in West London. Dr. Joglekar provides an expertise in assessment, diagnosis, and treatment of ADHD, Psychosis, Mood and Anxiety Disorders as well as Eating Disorders among other conditions in children, adolescents, and young adults. Fora full list of psychiatric conditions click here for the child & adolescent psychiatry services and scope of work. Requests for expert witness assessments of children and adolescents are welcome, more information is available on the Medico-legal assessments page. 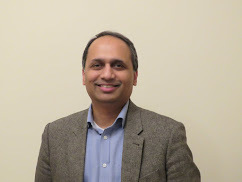 Dr. Joglekar has worked for over 24 years in mental health and has been a Consultant Child & Adolescent Psychiatrist for over 10 years after having spent over a decade working in General Adult Psychiatry. He led and developed a Trust Award winning Adolescent Service in West London. Other than seeing children and teenagers, Dr. Joglekar is able to provide a service to adults as well - click here for more details on adult psychiatry assessments. Dr. Joglekar is trained and approved to undertake work in legal statutes such as the Mental Health Act if need be. Dr. Joglekar uses pragmatic talking treatments, combining different approaches such as - Cognitive Behaviour Therapy, Dialectical Behaviour Therapy, Systemic and Psychodynamic thinking with medication as appropriate. Dr Joglekar finds working with young people and families hugely gratifying and would be glad to be of assistance - please email if you wish to make initial enquiries. Having worked in Bombay for nearly a decade and over the past 14 years in London, two buzzing cosmopolitan cities have allowed Dr. Joglekar to train and work in a variety of cross-cultural contexts. He is multi-lingual and fluent in English, Hindi, Marathi and also quite familiar with Gujarati. Note: Please note that some colleagues and patients / parents / families refer to me with my abbreviated first name, i.e. Dr. Raj (Joglekar). I have an enhanced CRB clearance, I am also registered with the Information Commissioners Office (ICO). Dr Joglekar has led the development of Digital Health Outcomes that allows patients to securely respond to Standardised Clinical Questionnaires. The project has been expanded to bring the innovation and use of Electronic Health Records in India as well.